With more than 30 years of broad experience in Surface Mount Technology (SMT) Mr. Prasad has been responsible for developing and implementing SMT for numerous system products. While serving as a lead engineer, he introduced SMT into the airplanes at Boeing and managed the global implementation of SMT at Intel Corporation when SMT was at its infancy in early 80’s. Ray is very experienced in ball grid array, chip scale packaging technology, and design for manufacturing and has chaired the IPC committees related to these subjects (IPC 7530 on Reflow Profile, IPC 7095 on BGA and IPC 7093 on BTC, IPC 7351 on land pattern design). Mr. Prasad has helped many clients over the years in legal disputes, has testified at trials, testified in depositions and prepared Expert Technical Reports for the courts and lawyers. M.B.A from University of California at Berkeley. Mr. Prasad has helped many clients successfully implement SMT/BGA/BTC (Surface Mount Technology/Ball Grid Arrays/Bottom Termination Components) and improve their manufacturing yield. He has developed extensive on-site training for all organizational levels and has provided technical expertise in legal disputes. Before starting his consulting practice in 1994, Mr. Prasad held key technology positions at Boeing and Intel for 15 years. He was the SMT Program Manager at Intel responsible for developing and implementing SMT for the system products. He developed and taught DFM and SMT manufacturing courses to Intel engineers. He also managed the Intel PentiumProTM package program for Intel and introducing SMT into Boeing airplanes when he served as a lead engineer at that company. 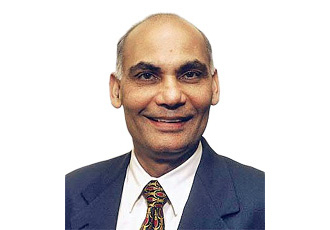 In 2013 Mr Prasad was inducted to IPC Hall of Fame for his contributions to IPC. He is also the recipient of SMTA's Member of Distinction Award and IPC President's award for his contribution to the advancement of electronics industry and recipient of Intel's highest award - Intel Achievement Award. Author of the text book Surface Mount Technology: Principles and Practice published by Walter Kluwer Academic Publishers and over 100 papers, Mr. Prasad holds two patents in BGA and is a popular workshop leader for in depth SMT, BTC, BGA/CSP and Lead free professional courses at national and international conferences and in major OEM and EMS companies. A long time member of IPC, he is currently the chairman of BGA committee IPC-7095 "Design and Assembly Process Implementation for BGA". He is also the Chairman of IPC-7093 "Design and Assembly Process Implementation for Bottom Terminations surface mount Components (BTCs) such as QFN, DFN and MLF and the Chairman of IPC 7530, Temperature Profiling for Reflow and Wave Soldering. Ray is the past chairman of the Surface Mount Land Pattern (IPC-SM-782, now IPC 7351) and Package Cracking (J-STD-020) committees. He was columnist for the SMT magazine and served on its advisory board for over two decades. Ray's expertise and 30+ years of experience sets him apart from other SMT consultants. He has served as a technical expert in legal cases, testifying at both trails and depositions. Ray has been inducted into the IPC Hall of Fame.